The last time I played a Jurassic Park game was on the SNES. That was 22 years ago when Steven Spielberg's dinosaur opus ruled the world on the big screen and toy stores everywhere. Fast forward to today and the franchise's fourth installment - Jurassic World - has eclipsed Marvel's Avengers with the biggest opening weekend in Hollywood history. 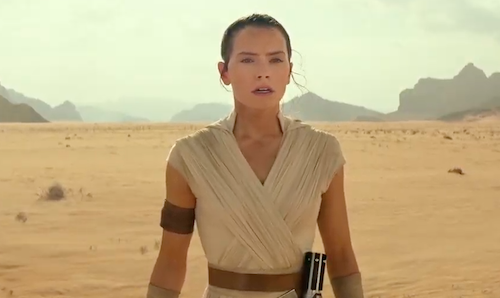 Critics, myself included, have raved about the franchise's resurrection under the stewardship of director Colin Trevorrow and executive producer Steven Spielberg. 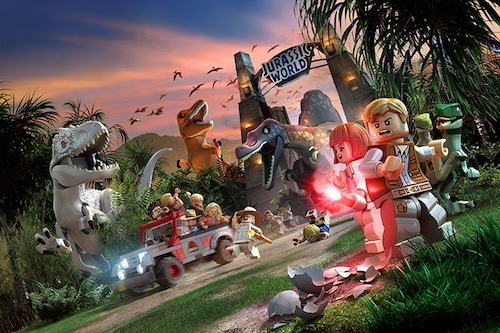 So, when Rob kindly offered me an opportunity to review LEGO Jurassic World for the lauded The Bearded Trio, how could I refuse? LEGO + dinosaurs = WIN! LEGO video games are a superior breed of tie-in. From Indiana Jones to Star Wars and DC Comics to Marvel, TT Games has, for the most part, delivered compelling gaming experiences replete with knowing nods to the beloved properties they're based on. Not only delighting children, but savvy adults, too. The pick-up-and-play mechanics welcome both new and veteran gamers, and are perfect for dipping in and out of at leisure. The memory of playing LEGO Star Wars: The Complete Saga on an Xbox 360 is indelible. This is where Jurassic World takes its inspirational cue by bundling all four Jurassic Park movies into a magical brick tour of Isla Nublar and Isla Sorna to the strains of John Williams' iconic themes, original movie dialogue, sound effects and tutorials given by Mr DNA himself. The game opens with the classic scene from Jurassic Park in which a Raptor is being delivered to the original park. This segues to Dr. Alan Grant and Dr. Ellie Sattler fossil hunting in an archeological dig prior to John Hammond, CEO and creator of Jurassic Park, taking the couple, by helicopter, to Isla Nublar. 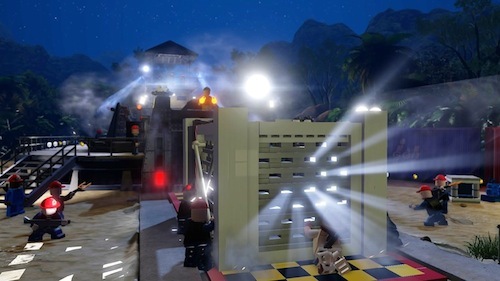 Once on the island, players can choose between Jurassic Park or Jurassic World. The scope of the game is vast and nothing's been cynically cut for future DLC cash-in. I spent ages simply wandering around the main street in Jurassic World because there's countless fun things to see and do. An awesome coop mode brings much fun when playing hide and seek with Indominus Rex. There's oodles of TT Game's trademark self-mocking humour from the Raptor kitchen scene in Jurassic Park to the long grass moment in The Lost World. LEGO has always been about creativity, experimentation and puzzle solving. 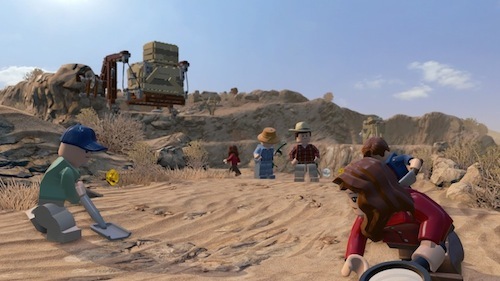 This DNA pervades the whole game and you'll be able to unlock playable dinosaurs, including the rampaging T-Rex, and create your very own hybrid dinosaur by collecting LEGO amber, which is akin to building custom minifigs. What's not to like? 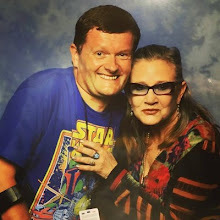 LEGO and dinosaurs are synonymous with my childhood, as they maybe with yours, and I may have had a tear in the eye reflecting on halcyon memories. This maybe the best LEGO tie-in to date and that's saying something... But, wait, what's that LEGO Dimensions meteorite on the horizon? 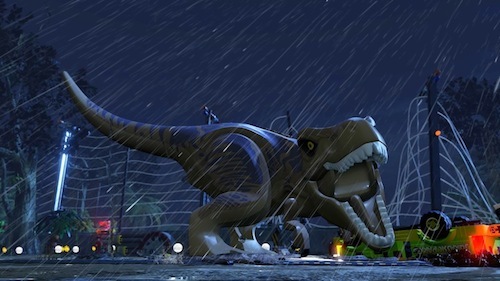 LEGO Jurassic World is available now on Xbox 360, Xbox One, PlayStation 3, PlayStation 4, PlayStation Vita, Wii U, 3DS, and PC. This review originally appeared on The Bearded Trio.